The California Consumer Privacy Act (CCPA) is a sweeping privacy law that applies to businesses of all sizes across almost every industry. 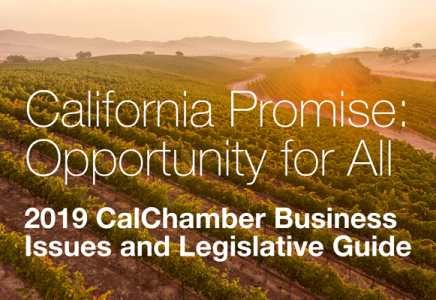 Up on The Workplace podcast this week, CalChamber President Allan Zaremberg is joined by CalChamber Executive Vice President Jennifer Barrera and Policy Advocate Sarah Boot to talk about the challenges of implementing the CCPA. In discussing the many unworkable provisions of the law, the trio digs deep into the potential costs the CCPA poses to both business and consumers. The conversation concludes with a discussion of legislative fixes needed before the CCPA goes into effect on January 1, 2020. Of the many privacy laws in the country, the CCPA is the only one that applies across all industries uniformly, Boot explains. “The law applies very broadly, across every industry and to businesses of all sizes,” Boot states. The reason is the incredibly broad definition of “personal information,” which extends “far more broadly than what people normally think of,” Boot says. The CCPA deals with “data and privacy, and this isn’t just about tech companies; this is about virtually every business in California and those who do business in California,” Zaremberg says. Although this number may sound like a high threshold, it’s not, Boot says. The CCPA definition of “personal information” includes, for example, IP addresses, and the burdensome requirements of the CCPA apply to any business that merely “receives” personal information as defined by the CCPA. Boot continues with an example: an ad-supported blog that gets 137 unique online visitors per day over the course of one year will hit the threshold to comply with CCPA. Turning to the impact on the consumer, Zaremberg and Boot review who the law identifies as a “consumer” and how consumers benefit from data businesses collect. Zaremberg says that companies keep data and uses the example of a car dealer which keeps information on consumers for recalls. Boot explains that the CCPA defines “consumer” as any California resident. She elaborates that the CCPA gives “consumers” the right to request that a business delete their data. If this definition is not changed to exclude employees, an employee accused of sexual harassment could request that complaints about him/her be deleted. The definition could result in multiple flaws that not only undermine consumer privacy, but employee protections as well. Barrera says she finds this part of the law fascinating with regards to labor and employment. Allowing an investigated, documented and retained personnel file involving sexual harassment to be deleted is “inconsistent with the goals of the #MeToo movement to make sure that, if someone has committed harassment, that even a future employer would be able to find out that information, and now you’ve eliminated that potential by allowing an employee, a harasser, to come in and delete that information from the employer’s records,” Barrera says. Subscribe to The Workplace on Google Play, iTunes, PodBean, Tune In and Stitcher. New episodes will be released each Wednesday.